Are you ready to re-roof your house but don’t understand the lingo? Do you feel like the contractor is speaking a completely different language? Educate yourself on some of the basic roofing and gutter terms so you can make the best choice for your home’s covering. Deck: The roof deck consists of either solid plywood or spaced board sheathing with an underlayment of roofing felt. Dormers: Openings in your roof can be created by dormers. Shed dormers decrease the slope of your roof and gabled dormers have higher pitches. Each of these types will need to be sealed with metal flashing along the joints. Fascia Board: The fascia board is the exposed end of the roof where gutters are normally attached. Flashing: Metal or vinyl edging placed along roof intersections, dormers, chimneys, vent pipes, and roof edges is known as flashing. This material helps guide water away from the joints and toward the gutters. Flashing is available in galvanized steel, aluminum, and copper. Gutters: These metal chambers channel water from the edge of your roof down and away from the house and foundation. Gutters can be constructed of aluminum, copper, galvanized steel, or vinyl/pvc. Ice Dams: Ice dams form when attic heat melts snow at the ridge or peak of the roof. It then causes a pile of ice and snow to overflow the gutters. The melted water can then back up under the shingles, eventually creeping back into the house. Ridge Vent: A ridge vent sits along the top edge of your roof. It allows a bit of airflow in and out of your attic, but as it sits beneath the roofing material, it is less visible than standard vents. Ridge vents can help prevent attic heat which might result in ice dams. 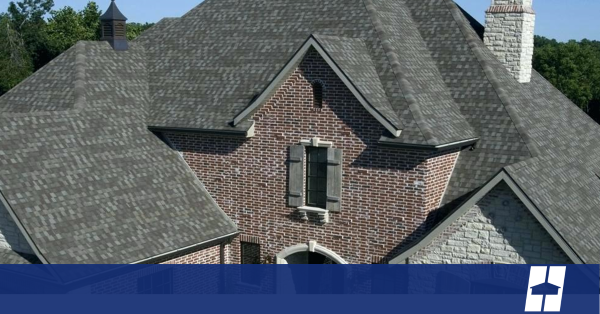 Roofing Felt: The protective layer between the roof sheathing and the shingles is roofing felt. Pitch and Slope: Slope is the description in inches of the vertical rise per foot of horizontal run. Pitch, however, is the ration of rise to the total span of the entire roof. Roof Surface: All roofing material rests upon the roof surface. Plywood is the most common surface material featuring a covering of sheathing, felt, and shingles. Shingles: Generally, homes are covered by asphalt shingle roofs in 12x36 inch sections installed in an overlapping pattern. Soffits: Soffits are vents under the roof overhang. They allow your attic to breathe and for air to circulate. Water Diverter: A piece of metal that directs the flow of water as it drains from the roof is known as a water diverter.